1. 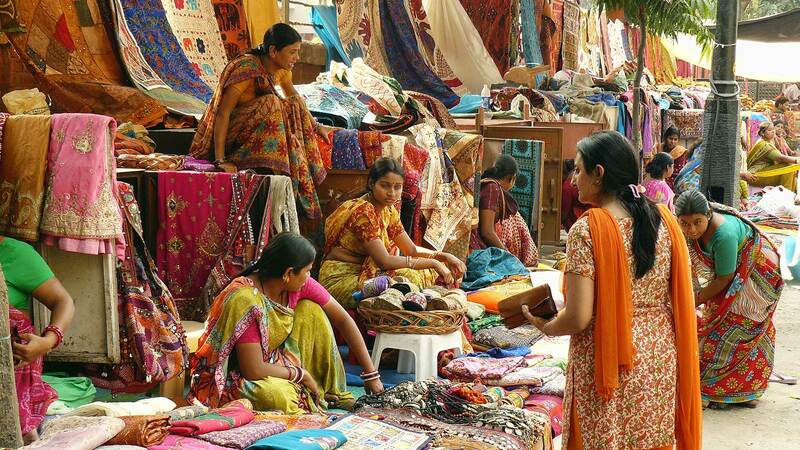 Sarojini Nagar Market:- Popularly known as the “adda” of young girls. 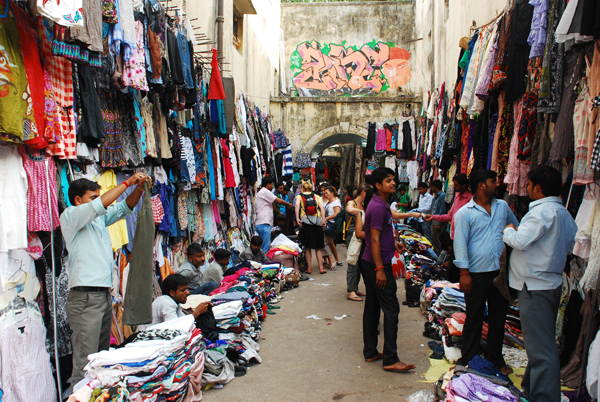 Sarojini Nagar market is famous for its really cheap designer clothes that have been rejected from export market, either because of surplus quantity or small manufacturing defects (you can hardly notice these defects). From hair-clip to to high heel you can find everything in this market. 2. 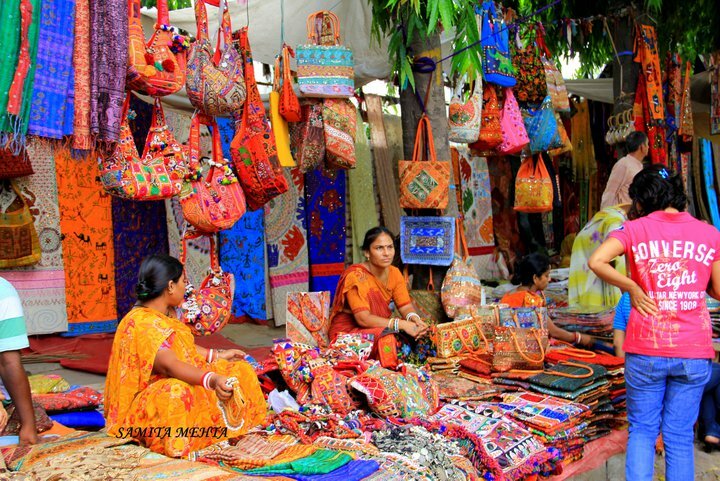 Dilli Haat:- One of the best place to shop in Delhi (where you get to see lots of foreigners) is given look of a weekly local village market called haat. 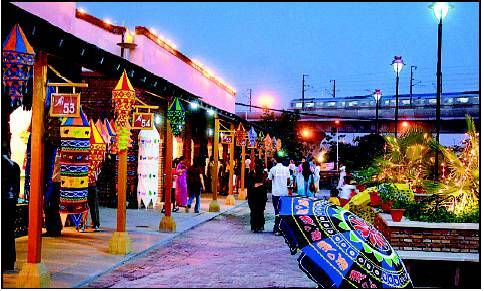 Delhi Haat is a local market with the beautiful ambiance of a village which not only serves it’s visitors with amazing handicrafts and clothes from all over the country but it also serves them with delicacies from all over the country. A must visit! 3. Janpath Market:- This is one of the most popular and lively market of this city, now when it’s has been given a makeover it has something for everyone. It can be called a smaller version of Sarojini Nagar market as it also provides you with everything but in a smaller place. 4. Khan Market:- The best place for hangout in Delhi is a U-shaped market which is known as Khan market. Good food, booze and branded clothes is what you can get here. One of the best things about this market is its interesting book shops. It’s also got some excellent tailors who will make you a suit in less than a week. A perfect place for hush-hush shoppers. 5. 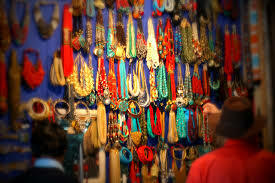 Chandni Chowk:- Oldest market in the town has some of the hottest stuff to sell. Though this market exists for than thousands years but it is the busiest market of the city. From a suit border to a bread toaster you can find everything here, and along with all this is has got some of the exotic street food to tickle your taste buds. So, if you are planning a shopping trip to Delhi don’t miss out these places. Time for me to go, OK bye! 5 little known facts about the World Cup!